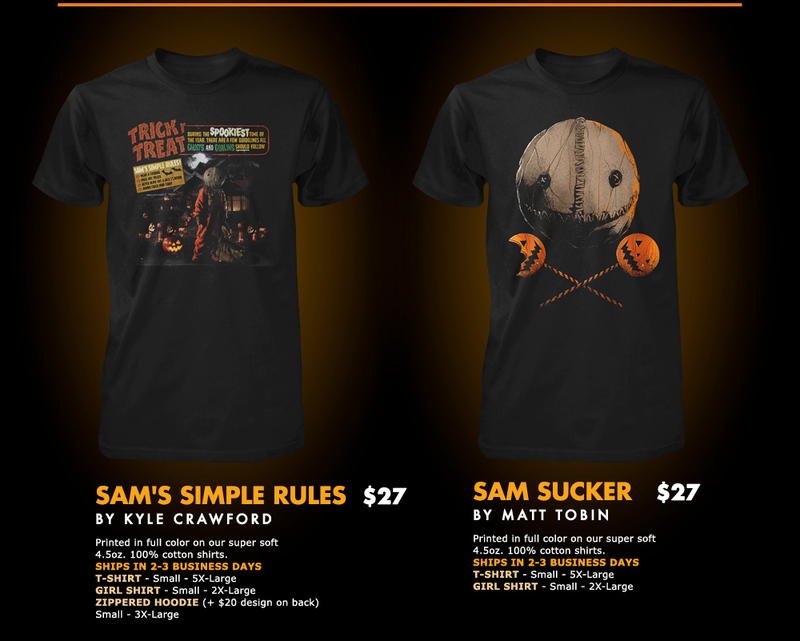 Fright-Rags is about to unleash a killer new collection of T-shirts inspired by the modern Halloween classic Trick ‘r Treat, including an awesome set that comes with a vintage styled Sam mask and commemorative box. 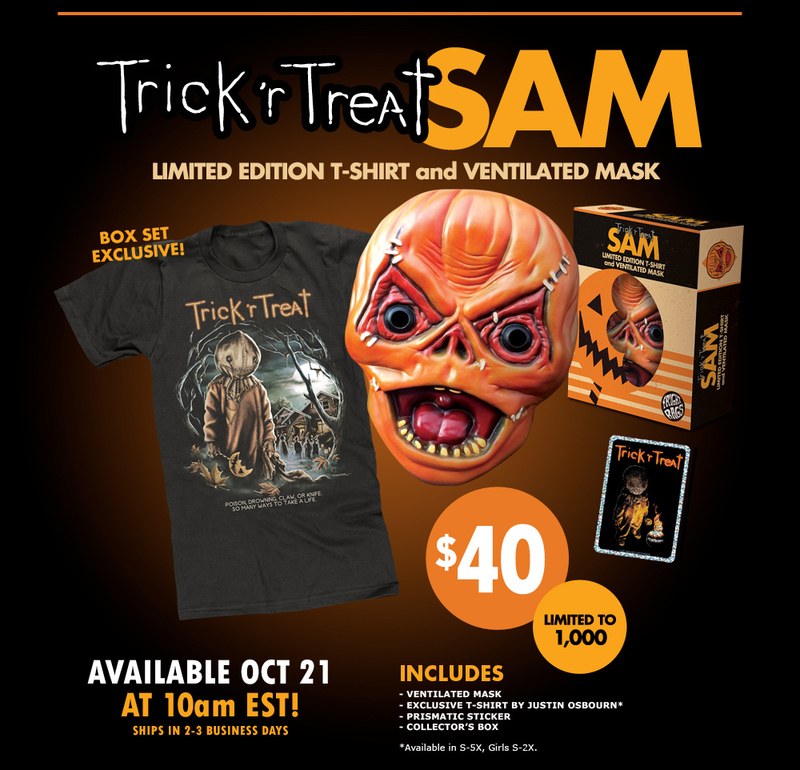 The box set exclusive features a new shirt designed by Justin Osbourne (pictured above) plus a ventilated plastic mask with collector’s box and a prismatic sticker, all for just $40, limited to only 1,000, available starting tomorrow (Oct. 21). 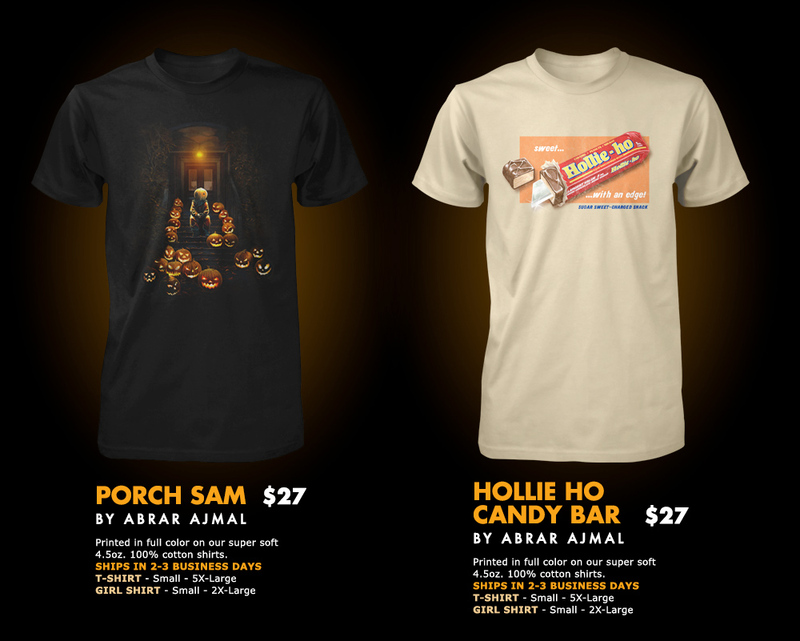 Addition T-shirt designs by Kyle Crawford, Matt Tobin, and Abrar Ajmal, as well as some nifty sucker socks will also go on sale tomorrow from Fright Rags, all of which you can view in the images below. 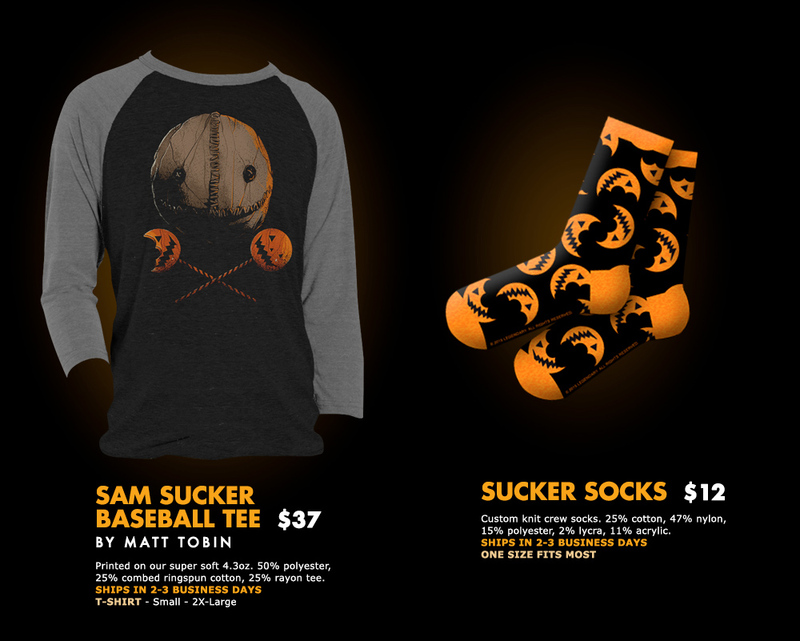 Tell us in the comments which of these Trick ‘r Treat items you will be purchasing, and then click HERE to order yours! ‘Trick ‘r Treat’ Icon Sam Celebrates Christmas in New Video!